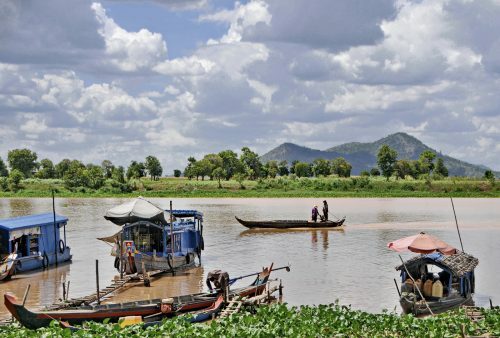 This 16-day Laos and Cambodia tour – an extended version of our Indochina Adventure – will lead you through the heart of Southeast Asia from the remote mountains of northern Laos to the steamy jungles and enigmatic, creeper-covered, ruined city of Angkor. 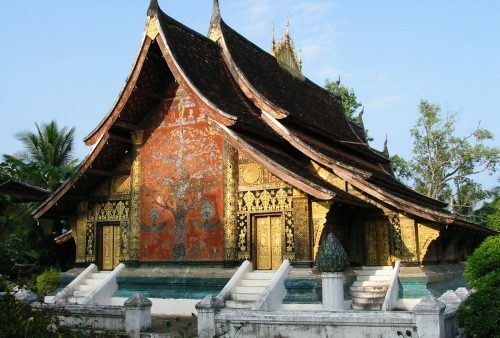 Beginning in the ancient Lao royal capital – now World Heritage Site – Luang Prabang, you’ll discover the beautiful temples and French-period architecture of the region’s best-preserved town, before crossing spectacular mountain ranges to reach the remote and mysterious Plain of Jars. From here our journey continues to the contrasting, contemporary capitals of laid-back Vientiane and hectic, vibrant but charming Phnom Penh. 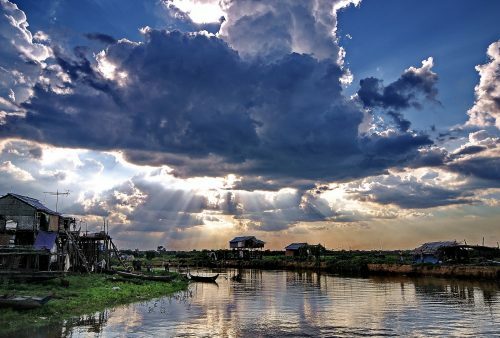 After discovering the Cambodian capital’s colourful street-life and markets as well as its sometimes tragic historical sites, we’ll travel overland through picturesque countryside and past traditional villages to Siem Reap and the spectacular jungle temples of Angkor. 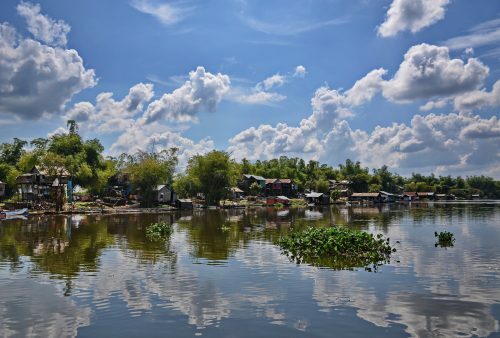 Our tour concludes with a fabulous boat journey across the Tonle Sap lake and past the unique floating villages of the Sangkar River to Battambang where we’ll discover the traditional handicrafts and cottage industries of the surrounding villages before a return overland to Phnom Penh. 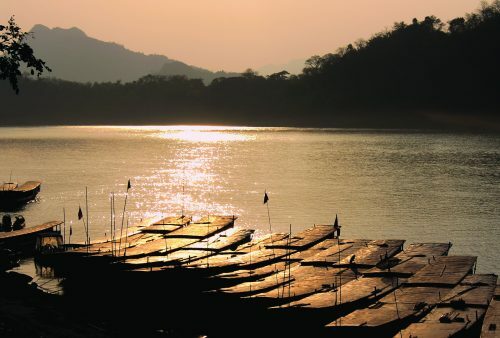 An unforgettable tour of some of the best-known, plus rarely visited sites Indochina has to offer including a wide variety of stunning landscapes, UNESCO World Heritage Sites, ancient ruins, vibrant contemporary street life and local markets, plenty of friendly locals, and lashings of wonderful Southeast Asian cuisine. For those with less time to spare, note that a 13-day Indochina Adventure finishes at Siem Reap International Airport. Arrival in Luang Prabang. 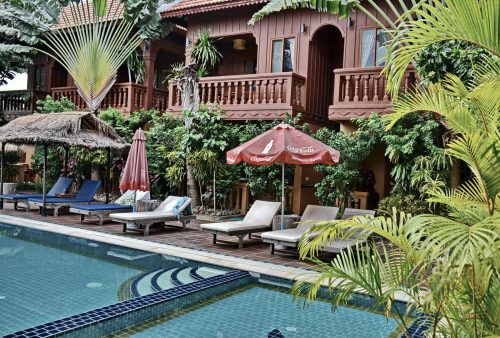 Time to relax before an afternoon boat trip up the picturesque Mekong River to Muang Keo village from where a short hike takes us to the famous Pak Ou cave temples – overlooking the river and filled with thousands of ancient gold lacquered Buddha statues. Discover World Heritage Luang Prabang’s fabulous temples, French-era architecture and sample Lao delicacies (and the famous Lao beer) in riverside cafes. A morning tour includes the former Royal Palace, now National Museum, Wat Xiengthong and the Fine Arts School to see how traditional Lao arts and handicrafts are being preserved. 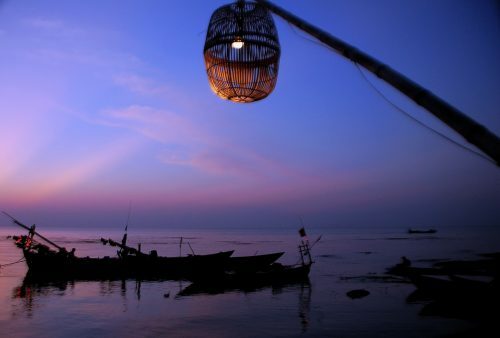 Afternoon at leisure to explore the quiet, picturesque lanes or check out the hill-tribe market? 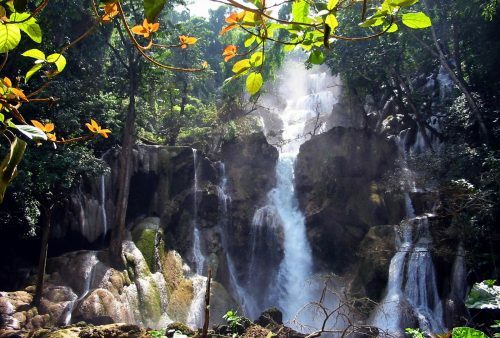 Day trip through the surrounding hills to visit the spectacular Kuang Si Waterfalls and commendable Free the Bears rescue centre. Stops en-route allow us to discover the fascinating, traditional village and rural life of some of the local inhabitants. 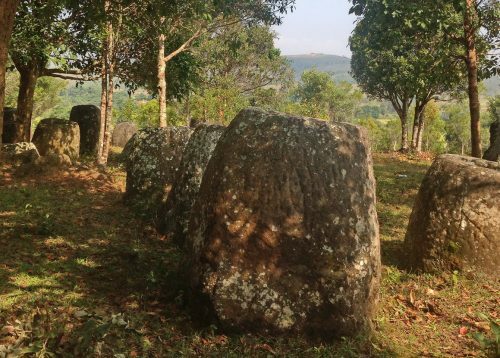 Overland along scenic mountain roads to Phonsavan Town in Xieng Khouang Province – location of the famous and mysterious Plain of Jars. Stops en-route include Khmu and Hmong villages and a hidden cave temple that served as an army hospital during the Vietnam War. Late afternoon arrival and an atmospheric dusk visit to one of the famous jar sites. Visit the Mines Advisory Group to learn about the work they do in clearing the area’s landmines and unexploded ordnance before a visit to the picturesque Jar Site 2 with a short hike to the impressive, hill-top Site 3. 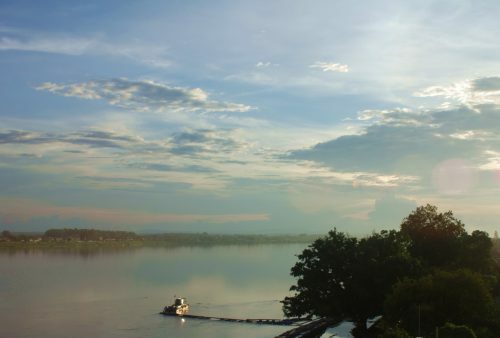 Afternoon flight to the Lao capital of Vientiane, and time perhaps to stretch our legs with a stroll along the Mekong waterfront for sundowners in a riverbank cafe? 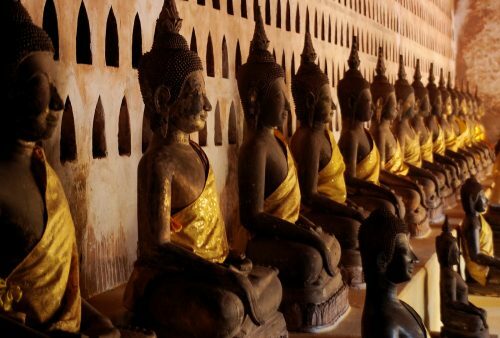 Tour of some of the city’s fascinating sites including Si Saket Temple with its 1,000 Buddhas, the bustling morning market, Vientiane’s most famous monument, That Luang, as well as the unusual Buddha Park. A less cheerful, but highly informative stop will also be made at the excellent COPE Visitors Centre, established to highlight the problem of unexploded ordnance left after the Vietnam War. 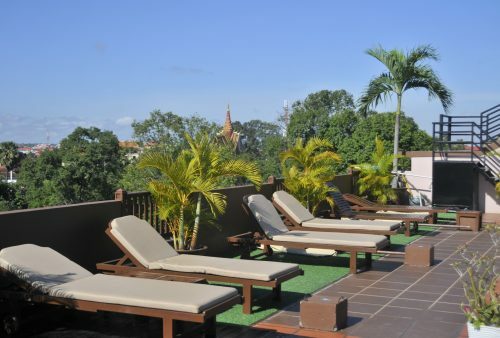 Morning flight to Phnom Penh and check-in to a small, downtown boutique-style hotel. Time to relax before an introductory walking tour, taking in the historic French Quarter and the lively waterfront area as well as giving you a first-hand feel for the bustling street-life before finishing perhaps, with sundowners at the famous Foreign Correspondents Club? 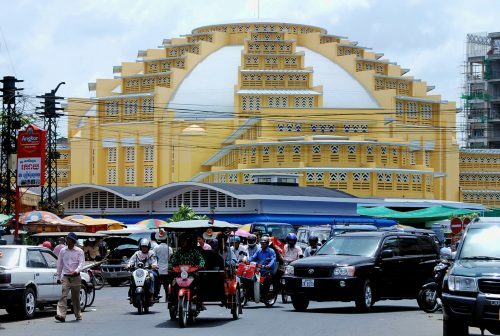 Day tour of some of the sites of Cambodia’s fascinating capital city. The infamous Killing Fields and highly moving Khmer Rouge Museum at Tuol Sleng help to explain the country’s recent tragic history while the picturesque Royal Palace & Silver Pagoda provide plenty of photo opportunities. A visit to the Russian Market offers some ‘retail therapy’ and a chance for a local lunch. 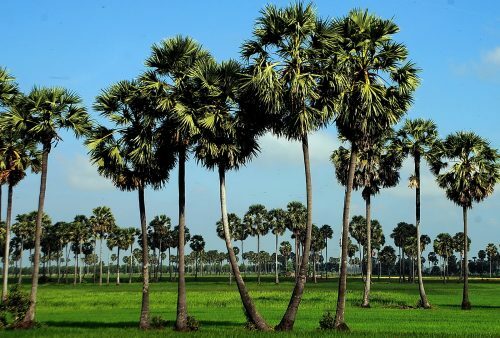 Travel through Cambodia’s scenic countryside to the provincial town of Siem Reap in Western Cambodia – our base for the next few days while we visit the nearby Angkor Temples. 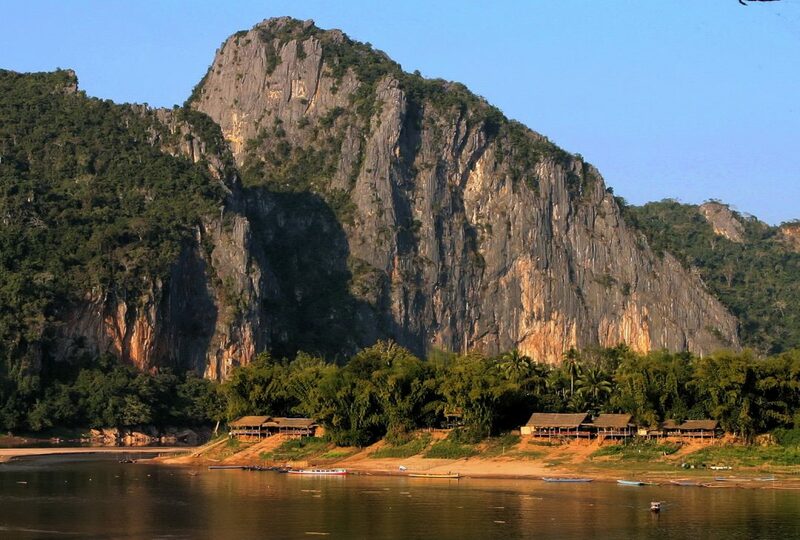 Stops on the way include the famous ‘spider village’ of Skuon (tasting not compulsory), a rarely-visited but well-preserved 11th-century temple and lunch by a scenic lake. A sunset visit to the atmospheric ruins of Banteay Kdei completes our day. Angkor: an unforgettable 2-day tour of this fabulous site with its vast jungle-clad temples and mysterious stone carvings. 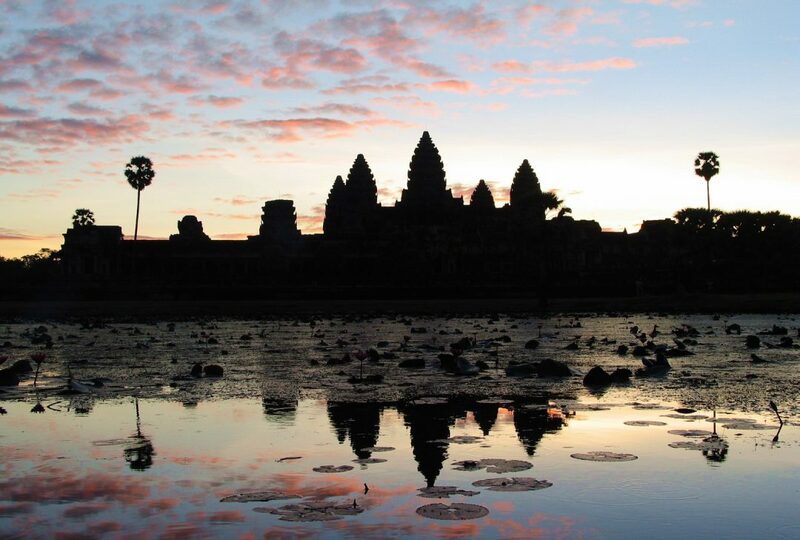 We begin with sunrise and a morning tour of Angkor Wat. 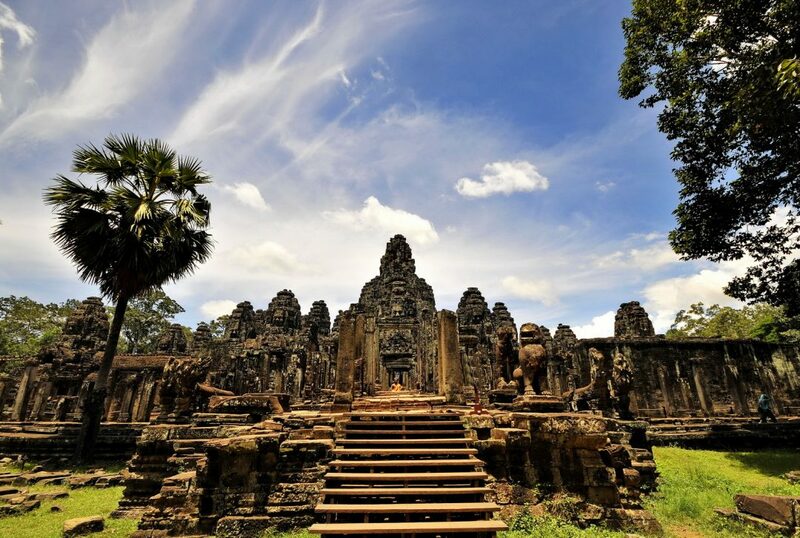 Return to Siem Reap to escape the midday heat an afternoon walking tour of Angkor Tom: Leper King & Elephant Terraces, Royal Enclosure, Phimeanakas, Baphuon and last but not least, (we’ll wait until the crowds have gone), the dramatic Bayon Temple with its famous faces. Morning visit to the spectacular Phnom Bakheng Temple before moving on to the vast ruin of Preah Khan. 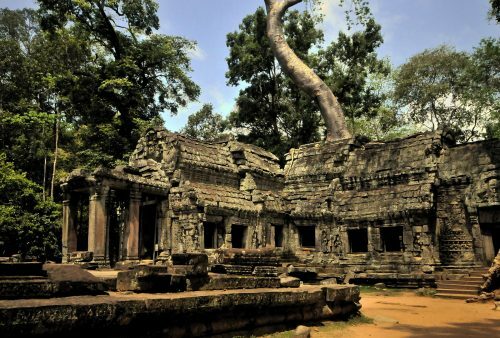 Dense jungle, enormous roots and screeching parakeets make this atmospheric temple one of everyone’s favourites. After a break in Siem Reap, the afternoon continues with a short forest hike to Ta Keo via the remote and rarely visited Ta Nei. Ta Prom – the famous ‘Tomb Raider’ temple – continues our jungle theme and concludes our day’s visit. Morning trip to one of the remoter temple sites, the truly spectacular Beng Melea. 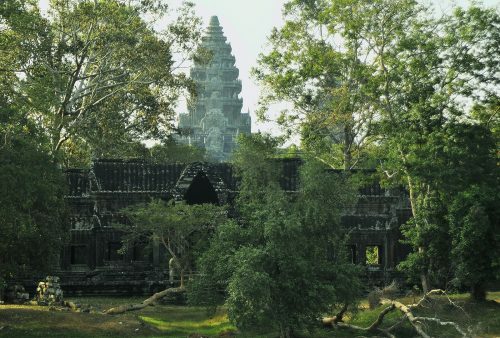 This huge partially ruined temple complex, overgrown by jungle, is one of the most impressive Angkor monuments. 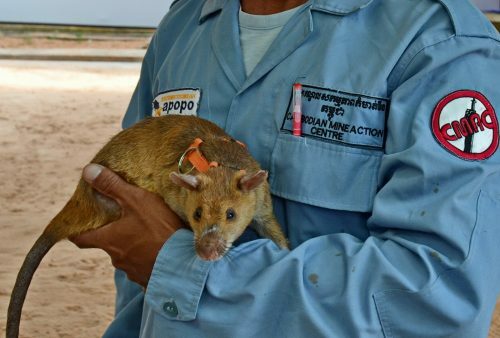 Return to Siem Reap with an afternoon at leisure to relax by the pool, visit the National Museum, explore the markets or perhaps check out the famous mine-detecting giant rats at the Apopo Centre? 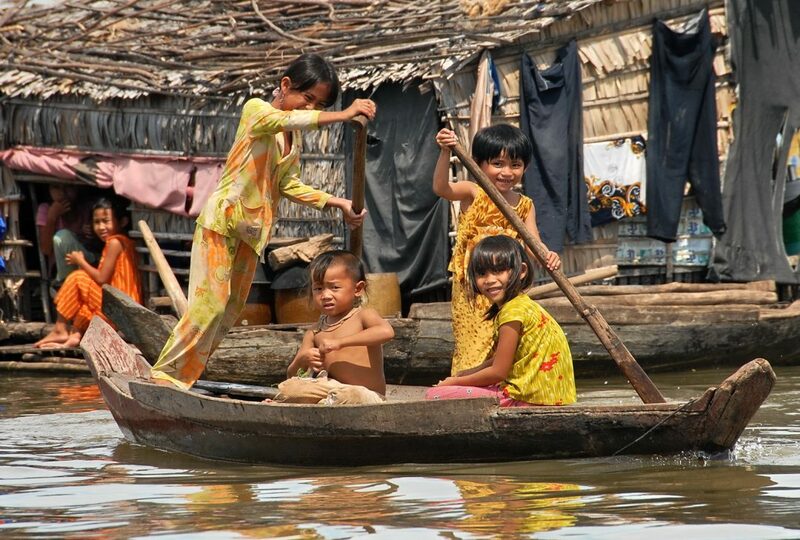 Spectacular boat journey across the Tonle Sap Lake, past the flooded forest and Prek Toal bird sanctuary and on down the Sangkar River with its unique floating and stilt villages to the town of Battambang. Stop-off on the way to visit the Prek Toal community water hyacinth weaving project. If water levels are low during the dry season, part of the trip may be overland. Morning tuk-tuk tour of some of the surrounding villages to visit some of the local residents and learn about their traditional cottage industries and handicrafts. An afternoon at leisure to perhaps stroll around the town and check out some of its varied architecture and tempting coffee shops or check out the famous ‘bamboo railway’? 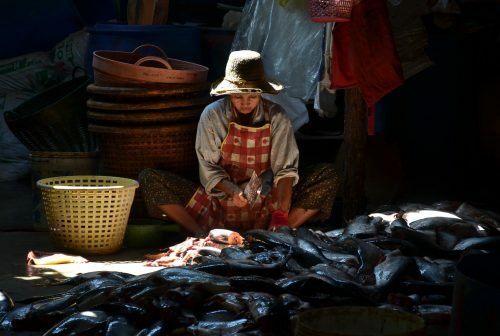 Travelling east we’ll stop at the fascinating river port town of Kompong Chnang on the Tonle Sap River, and explore the colourful and bustling riverfront area before continuing to our day’s final destination – Phnom Penh – for a farewell local-style dinner. 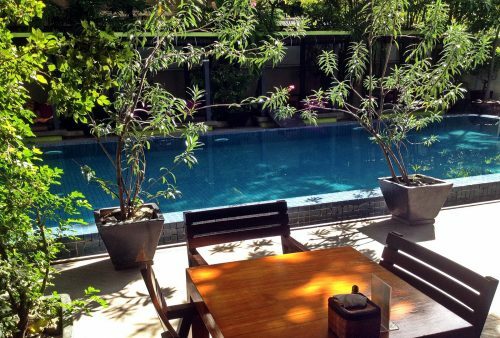 Morning at leisure in Phnom Penh; relax by the pool or some last-minute shopping and departure.at your convenience. 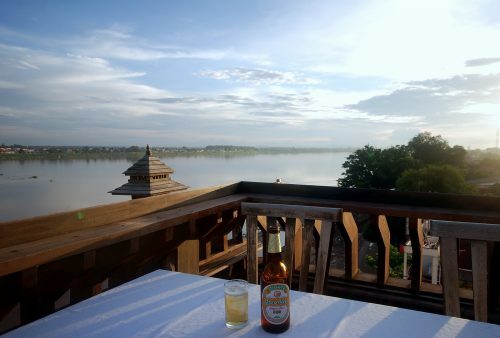 Extra nights in Luang Prabang prior to or Phnom Penh after your tour are available on request. 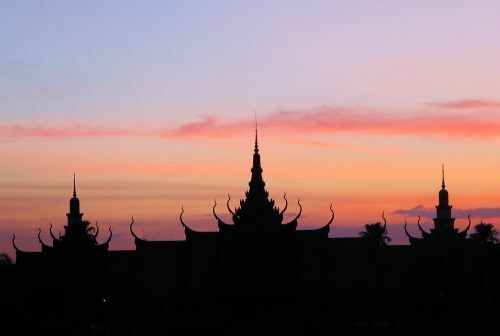 Visas – Laos: No visa in advance is required. 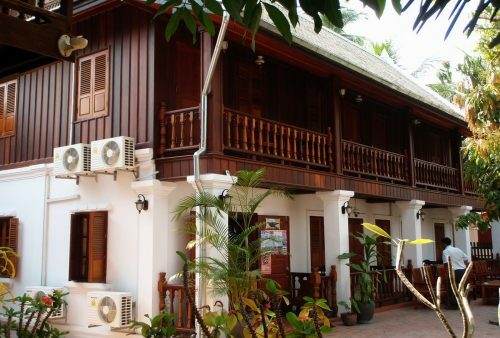 A 30-day visa can be obtained on arrival at Luang Prabang Airport. Approx. $38). Both: A passport photo is required for both Laos and Cambodia while tourist visas for both are valid for 30 days from entry. Meals: breakfasts are generally hotel buffets with lunch and dinners based on local food. Lunches on the road are typically simpler dishes such as variations on noodles or fried rice while your tour-leader will generally order more elaborate-style dinners consisting of a selection of local dishes. Little known Lao fare is somewhat similar to Thai though commonly accompanied by ‘sticky’, rather than plain rice. Dishes can be spicy so please indicate your chilli tolerance levels to your tour leader. Both vegetarians and vegans are very easily catered for in both countries. For any other likes and dislikes please remind your tour-leader at the start of the tour. A number of meals are not included, which allows you to ‘do your own thing’ or take a break if you’re feeling ‘riced out’. Accommodation: all choices fall into the comfortable 3* range and are en-suite and air-conditioned. 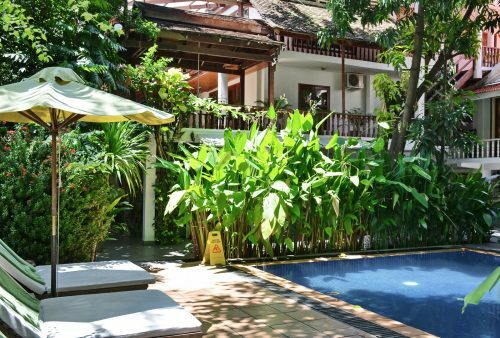 Pools are available at all Cambodian hotels but not usually (due to limited space) at Lao ones. We have posted a selection of sample accommodation on the lefthand hotel tab but please note that as we try and avoid the larger hotels, availability, in high season particularly, means we use several options in each destination. 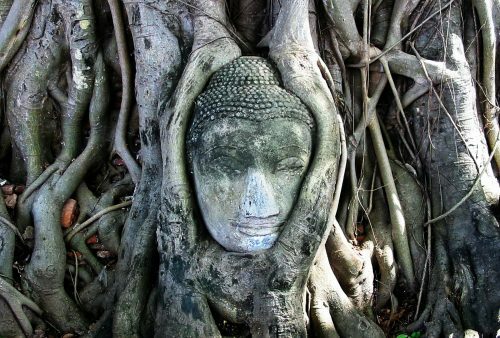 Further info: more details and photos of ‘Indochina Adventure‘ here and suggested reading and viewing on Cambodia at this link or our Lao reading and viewing list here.
" Overall, a fantastic trip. Mark is organized, helpful, informed, flexible and has a great sense of optimism and humour. His ability to adapt to the unexpected (such as the landslide on the way to Phonsavan), was much appreciated. And his recommendations for food were excellent: I really liked his practice of just ordering a variety of dishes for us all to sample, which meant we got to taste many more things than we probably would have otherwise. The local guides were all excellent – Nak was one of the best guides I’ve had anywhere! He had a very good sense of how much information we could absorb and how much would be overkill, he was very knowledgeable and friendly, he clearly knew his subject very well, and his English was clear and easily understood. " 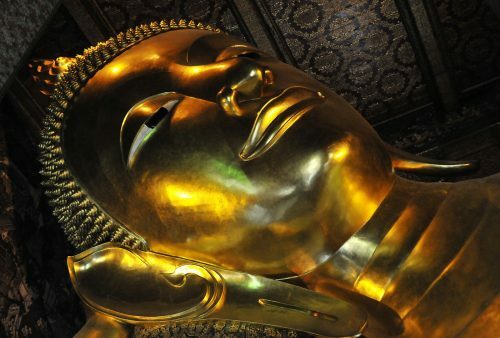 " Excellent trip, particularly well organised, both at the UK and Asian ends. The pacing was good, covering plenty of ground, while not being too frenetic. In general, the tour was interesting, informative and a great deal of fun. The whole itinerary was covered which hasn't always happened with some other tour companies in our experience. Leaders and guides were excellent. I'd thoroughly recommend this tour (and the company). The effort made to try and get us to parts of Angkor at less popular times was much appreciated. The accommodation surpassed expectations and was never less than good. We appreciated the city hotels being right in the centre of town, so if you wanted to wander out, it was easy.
" We normally organize our trips by ourselves but this time for lack of time to prepare we opted for a guided tour. And it was the best decision we could have taken! Everything was very well organized, local guides and the tour leader were very knowledgeable and interesting. The small size of the groups allowed everybody to feel taken care of and nobody's interests or questions were neglected. Not only did we see some of the greatest and most interesting sites in Laos and Cambodia but we also learned a lot about the region, its history and traditions and the local way of living. All in all, it was an extremely positive experience and we had a lot of fun. We are looking forward to our next trip with All Points East!
" Just writing to thank you for a wonderful trip to Laos and Cambodia. It was so well organised, Mark did a great job of looking after us in Cambodia and the guides you chose were all good – particularly Pong and Chet - were really fantastic and very warm people. Can’t praise them enough. Please pass on our thanks to everyone "
" Our trip was most enjoyable; the accommodation was selected carefully, the food was delicious and our guides and drivers were wonderful people - knowledgeable, kind and fun. Special thanks to Pong in Laos and Chet in Cambodia, they were really great, and of course to Mark. They put a lot of effort and thought into making this trip a memorable experience. " " This was the greatest, most interesting, most enjoyable, best orchestrated (and any other superlative you would care to mention) holiday I have ever been on. The accommodation was far superior to what I had expected, the food was unsurpassable and the feeling of 'belonging', (greatly helped by our guides local knowledge and contacts), was almost immediate. ....we did more, saw more and enjoyed more than I could ever have hoped. "